(Update — Thanks to the three readers who did find it downloadable on this site at http://krishikosh.egranth.ac.in/bitstream/1/2031806/1/27102.pdf ) I will be so excited tonight when I get to draw the name of the winner of the print copy of the iconic natural perfumery book Natural Perfume Materials by Naves and Mazayur (1947). It was at the bottom of p. 40 where I found a passage on powder enfleurage that inspired my experiments and the giveaway. Click here to read more, including specific instructions on how to accomplish powder and vapor essence enfleurage. But it just gets better! I began to search around the Internet, hoping to find a .pdf version of the book for sale, because although I love to hold a book in my hands and flip pages, moving back and forth as I research, a .pdf version is great for searching specific terms, and quite speedy. I didn’t find a .pdf, but I did locate a free Adobe Flash version of the book, and it’s great. The pages can be enlarged, the contrast is crisp and clear, and it is searchable. Cllick here to read the book, bookmark this site for your online library, and enjoy this vintage book, full of incredible information and history. I love sharing information about perfumery, and although I realize you may not wish to study perfumery, you may enjoy delving into the processes by which these lovely botanicals are turned into gorgeous essences. You may also have someone in your life who is interested in studying perfumery, and this book will be a great aid to them. My best wishes for enjoyment with this book! PS Don’t forget to subscribe to this blog (right column) and subscribe to the individual blog you are commenting in, to ensure you get follow up comments. 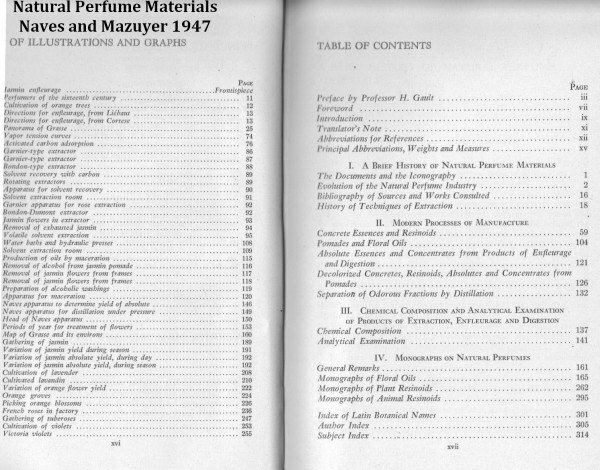 Illustrations and Table of Contents from Natural Perfume Materials by Naves and Mazuyer. Click to enlarge. 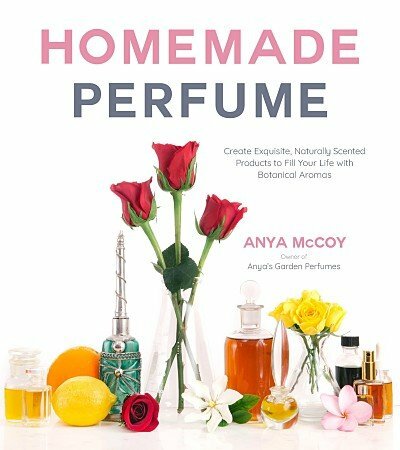 This entry was posted in Anya McCoy, enfleurage, Giveaway, raw materials of perfumery, study perfumery and tagged how to make perfume, naves and mayazur, perfumery course, study perfumery on July 1, 2014 by Anya. I get frequent emails from potential students who want more information about the professional course I offer at the Natural Perfumery Institute. It’s all about them wanting to learn how to make their own perfume, and what it entails. There is no short answer: even though my course is systematic, professional, and guarantees you will learn how to make perfume, the path is still different for each student. 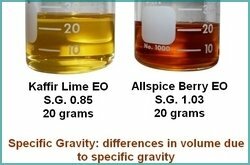 The secret to perfume making is that there is no secret, and no reason to hesitate in blending if you are given a firm foundation. A few years ago I was speaking with a good friend, now passed, the late perfumer Alec Lawless. He also taught perfumery, and we were comparing notes on what we observed with potential students that wrote us, asking how to make perfume, what would the course do for them? Many had, to that point, been self taught, with an admittedly hit-or-miss approach, and wanted to step up and learn a system. They sometimes said they were intuitive perfumers, and couldn’t replicate some things, and ran into dead ends with experimentation. Alec had a different method of teaching than me, and we both were self-taught, but we found we had one thing in common: we had assembled our knowledge into a systematic, replicable, scientific manner. A manner in which the students could find out about ratios, assays, iterations, modifications, and a number of other organized approaches. We both believed that by numerous repetitions of proven methodologies, gathered from different schools of perfumery, it was akin to a musician taking a course in music theory, which would propel them to the next level. With education, knowledge “clicks” into place. Then, the student/perfumer is able to be a bit intuitive. They’ll know how to experiment, take notes, formulate hypothesis about a certain accord, or perfume, and work it out successfully. That, hopefully, is the future of artisan perfumery. There will be an upswing in professional methodologies, a learned system, and the ability to be a freethinker – with roots planted firmly in the ground. I have a number of successful artisan perfumers as students. They realized at a certain point that they needed a framework of knowledge in which to improve their skills, and my course provides it for them. Sign up and move up the levels I designate in the course: Contextual, Certain, and Active. The students are excited as they see the milestones of learning achieved, then surpassed. It’s my goal to provide the most professional, comprehensive course in natural perfumery, and I believe I have succeeded. 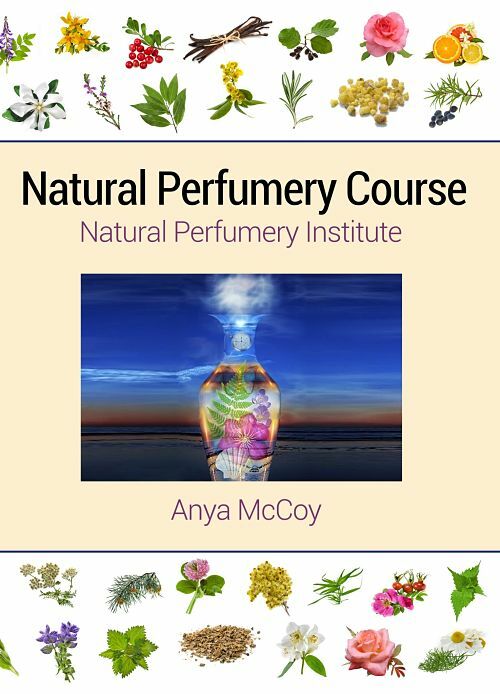 This entry was posted in natural perfumery course, Natural Perfumery Institute, study perfumery and tagged how to make perfume, how to make your own perfume, perfume making on June 18, 2014 by Anya. The Ask the Perfumer Forum is open for questions on how to make your own perfume today. I’ve been spending so much time on the Facebook page for my upcoming book Perfume From Your Garden, answering scent extraction questions, I felt a need to open up perfume making discussions here. I’ll be here until 10 PM tonight, ET USA, June 8, 2014, so please place your questions to me in that timeframe. 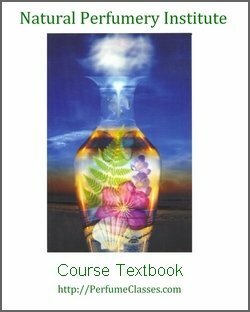 A little about my background as a perfumery instructor: In 2007, I developed a community based, professional natural perfumery course for those who cannot travel to study. This was the first course of its kind, and I pioneered many techniques for students, including making dilutions for initial study, using scales, organoleptic evaluations and many more. I wanted this to be the best course available to those who cannot travel to study, perhaps due to finances, job and family commitments, or maybe health reasons. If any of these factors apply, this course is for you, especially if you’re looking for an instructor who has decades of perfumery experience. A few students have told me they took the course because they’re very reserved and didn’t want to be immersed in a real-life classroom setting where they would have to participate. I understand this personality type, and I have found many natural perfumers to be reserved or shy, and I nurture them, as I have for eleven years on the Yahoo Natural Perfumery group I started and host, and in my Ask the Perfumer Sunday forum. 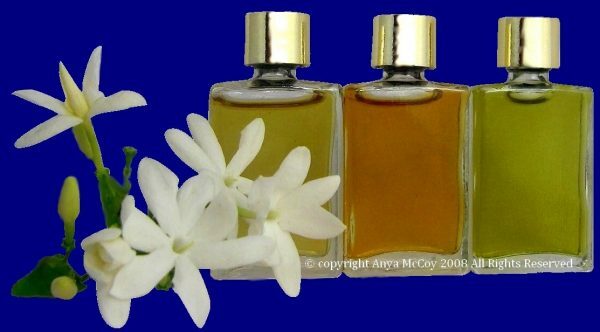 After studying perfumery on my own, from classic texts since 1976, I launched the first USA-based natural perfumery line in 1991, and since then have won dozens of awards for my perfumes. What the bloggers who gave these awards didn’t know is that behind the scenes, I developed the first textbook for natural perfumery. Not a handbook or manual, a fully-realized, illustrated, full-color, professionally-edited textbook. It is copyrighted and is in the Library of Congress. So what do the students enjoy besides my expertise and wonderful textbook? Well, there are two options, the value-priced $500 textbook Home Study, or the $2600 Online Interactive option. The Online Interactive is for the student who feels they need one-on-one guidance and the ability to consult with me on an perfumery question, exercise or assignment. Both options provide dozens of professional forms, charts and illustrations to make perfumery understandable and organized. Both options also allow the student to be a part of the discussion forum – for life. Adjunct faculty, students and myself take part in the forum. The convenience of distance learning is valuable for all the reasons stated above, and the companionship of the worldwide network of others in the forum is a treasure that will allow you to develop you skills. 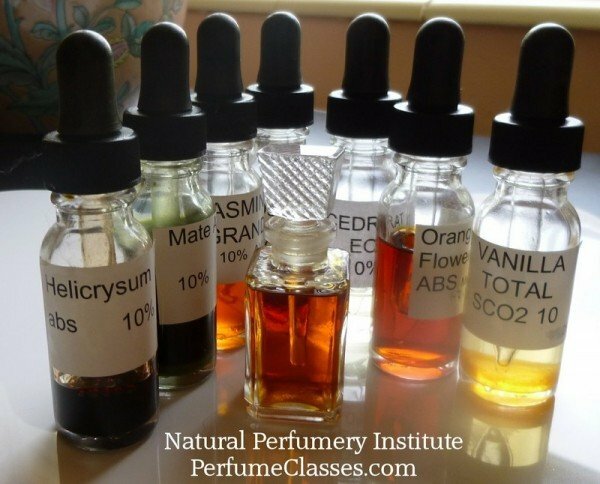 Please visit http://PerfumeClasses.com and consider the premier online distance learning course for natural perfumery. Don’t forget to check out the testimonials, a tiny sampling of the many I receive for the course. This entry was posted in natural perfumery course, Natural Perfumery Institute, raw materials of perfumery and tagged how to make perfume, make your own perfume, perfume classes, perfume course, perfumery, perfumery school, study perfumery on June 8, 2014 by Anya.